I am often asked the question "how in the **** can you stand the freezing cold Michigan winters?" well, I have to admit, it is hard. But there are several reasons I choose to stick around each winter. Lets start from the top. I - Stark juxtapositions. Not only with elements in the landscape, but also with hues. 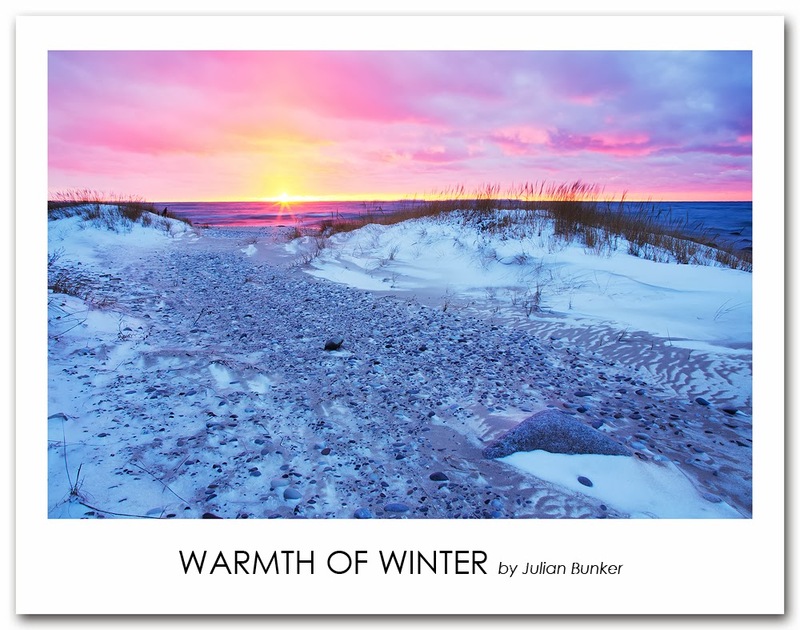 I love juxtaposing the cool hues of the snow to the warm hues of Sunrise and Sunset, The contrast is very attractive to me. II - Having four seasons. Without winter, spring doesn't seem nearly as beautiful. Mild suffering makes me appreciate the easy going seasons more. III - The Great Lakes. Lets be honest, Lake Superior and Lake Michigan are mind blowing, each with very different coastal features, the potentials are endless. If that doesn't explain why I love Michigan winters, then I might just be crazy. Canon 6D, Canon 24-105L (@24mm), ISO 100, F/22, Two images hand blended, one at 1.3 Seconds for highlights, one at 3.2 Seconds for snowy foreground.